I felt the need to do a lil bit of scrapping the other night, had to play with my new exciting Expression Machine…. yes yes, I finally relented and bought an Expression from the ever lovely Robyn at Discover Scrapbooking. I know I’m a bit biased as I just adore Robyn and her store, but seriously folks, if ever you are after any of these big ticket items for your crafting, you really should come and see her, her after sales care & assistance is second to none!! I know you can buy these machines new on Ebay direct from the States, but firstly, you get no warranty that way (at all) too risky I think (IMHO) I’m just an old fashioned girl who believes that you “GET WHAT YOU PAY FOR” in this day n age. 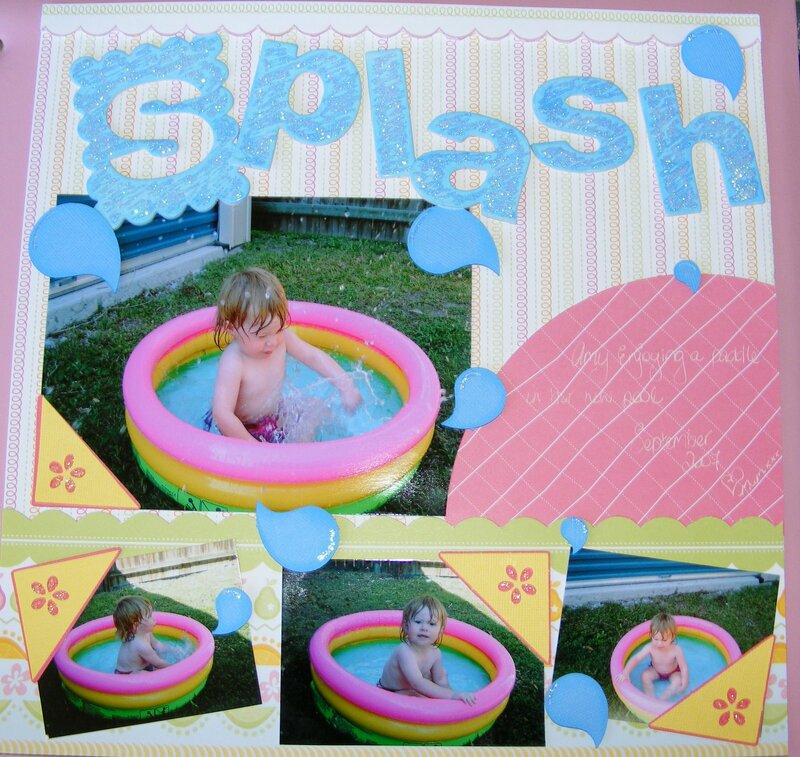 Little Miss Amy enjoying a splash in her paddle pool …. talk about a slack mummy…(September 2007) OMG I seriously need to pull my socks up and get some serious layouts done this year. Anyhow only have the one file for you this week guys, that would be the water droplet …. get it HERE. Have a great weekend, catch up again real soon. This entry was posted on April 25, 2009 at 3:10 am and is filed under Uncategorized. You can follow any responses to this entry through the RSS 2.0 feed. You can leave a response, or trackback from your own site. Thank you so much for this Freebie. I want to let you know that I posted a link to your blog in Creative Busy Hands Cricut Freebies Search List, under the Beach/Sea/Fish Theme post on May. 18, 2009. Thanks again.